Once believed to be a killer, researchers have suggested that the disease's mortality risk may have been overstated. A team of researchers from Stanford University has made a discovery that could affect people living with sickle cell gene variants. Their findings, published in the New England Journal of Medicine, reveal that people carrying the gene for sickle cell trait may not face a higher mortality risk. Despite the common belief that the gene can lead to an early death, researchers have shown that the gene’s affect on certain mortality incomes may be less significant than once thought. Researchers suggested that even though the body of medical literature surrounding the sickle cell trait overwhelmingly points to the gene’s influence on mortality, this may not be the case. The sickle cell trait occurs in roughly one out of every 13 African-Americans, and the study examined African-American soldiers of all ages between 2011 and 2014. The scientists were surprised to find that people with just one copy of the gene variant weren’t necessarily more likely to die than people without the gene. They were careful to distinguish between the sickle cell trait and sickle cell disease, however; people carrying two copies of the gene have what doctors refer to as sickle cell disease, which can result in intense pain and death. Scientists examined health records from nearly 50,000 African-American Army soldiers, provided by the Stanford Military Data Repository. One of the major health concerns associated with the sickle cell trait is known as exertional rhabdomyolysis, or ER, which occurs when molecules from broken-down muscles make their way to the kidneys. Previous research has suggested that sickle cell trait influences the risk of this disease, but the study found that the impact of the gene is a much less significant mortality risk factor than others including smoking, obesity and old age. ER is occurs under similar conditions as heat stroke, and scientists attribute the lack of apparent risk to measures taken by the Army to ensure that soldiers do not fall victim to dehydration and overheating during periods of intense activity. 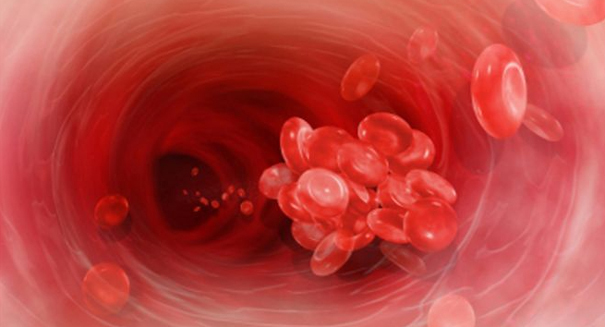 While ER remains a serious health risk, the sickle cell trait was not found to be a significant factor in mortality risk among the study’s participants.